Some Eastern Orthodox and Greek-Catholics consider Constantine XI a saint (or a national martyr or ethnomartyr, Greek: ἐθνομάρτυρας). 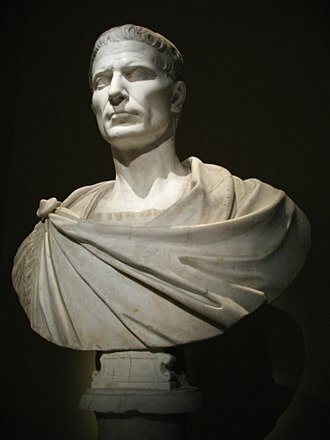 However, he has not been officially canonized by either Church, partly due to controversy surrounding his personal religious beliefs and partly because death in battle is not normally considered a form of martyrdom by the Orthodox Church. According to Catholicism and Orthodoxy, martyrs are those who voluntarily accept death for their faith, typically in a situation where they have the option to give up Christianity and live, but choose death instead. Carroll, Margaret (2017). "Constantine XI Palaeologus; some problems of image". In Moffatt, Ann. Maistor: Classical, Byzantine and Renaissance Studies for Robert Browning. Brill. pp. 329–343. ISBN 9789004344617. 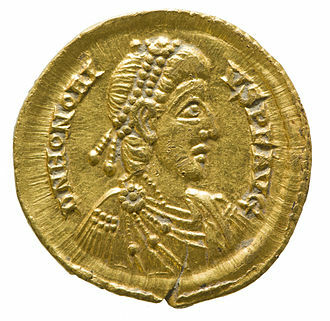 John VIII Palaiologos or Palaeologus was the penultimate reigning Byzantine Emperor, ruling from 1425 to 1448. John VIII Palaiologos was the eldest son of Manuel II Palaiologos and Helena Dragaš and he was associated as co-emperor with his father before 1416 and became sole emperor in 1425. 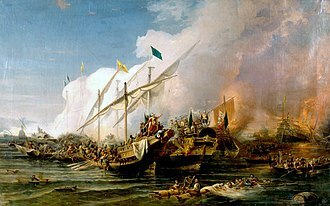 To secure protection against the Ottomans, he visited Pope Eugene IV and consented to the union of the Greek, the Union failed due to opposition in Constantinople, but through his prudent conduct towards the Ottoman Empire he succeeded in holding possession of the city. 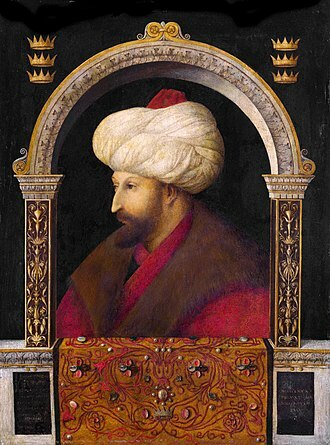 John VIII Palaiologos named his brother Constantine XI, who had served as regent in Constantinople in 1437–1439, despite the machinations of his younger brother Demetrios Palaiologos his mother Helena was able to secure Constantine XIs succession in 1448. John VIII died at Constantinople in 1448, John VIII Palaiologos was married three times. His first marriage was in 1414 to Anna of Moscow, daughter of Grand Prince Basil I of Moscow and she died in August 1417 of plague. The second marriage, arranged by his father Manuel II and Pope Martin V, was to Sophia of Montferrat in 1421 and she was a daughter of Theodore II, Marquess of Montferrat, and his second wife Joanna of Bar. Joanna was a daughter of Robert I, Duke of Bar and her maternal grandparents were John II of France and Bonne of Bohemia. His third marriage, arranged by the cardinal, was to Maria of Trebizond in 1427. She was a daughter of Alexios IV of Trebizond and Theodora Kantakouzene and she died in the winter of 1439, from plague. 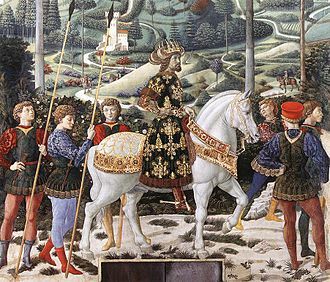 None of the marriages produced any children, John VIII Palaiologos was famously depicted by several painters on the occasion of his visit to Italy. 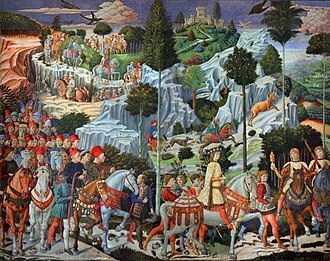 Perhaps the most famous of his portraits is the one by Benozzo Gozzoli, on the wall of the Magi Chapel, at the Palazzo Medici-Riccardi. According to some interpretations, John VIII would be portrayed in Piero della Francescas Flagellation. 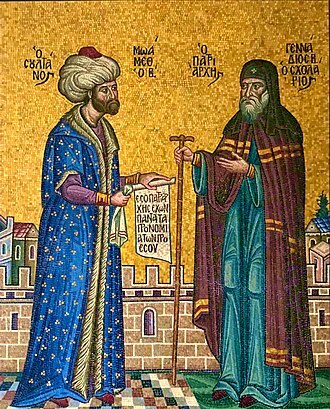 A portrait of John appears in a manuscript at the Saint Catherines Monastery in the Sinai Peninsula, list of Byzantine emperors Oxford Dictionary of Byzantium,1991. Koroni or Corone is a town and a former municipality in Messenia, Greece. Since the 2011 local government reform it is part of the municipality Pylos-Nestoras, known as Corone by the Venetians and Ottomans, the town of Koroni sits on the southwest peninsula of the Peloponnese on the Gulf of Messinia in southern Greece 45 minutes southwest of Kalamata. The town is nestled on a hill below an impressive Venetian castle, the town was the seat of the former municipality of Koróni, which has a land area of 105.163 km² and a population of 4,366. The municipal unit consists of the communities Akritochori, Chrysokellaria, Kaplani, Koroni, Vasilitsi and it includes the uninhabited island of Venétiko. 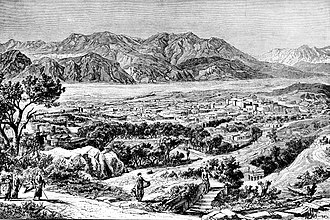 The town was founded in ancient times, the 2nd century Greek geographer Pausanias in his book Messeniaka reports the original location of Koroni at modern Petalidi, a town a few kilometers north of Koroni. 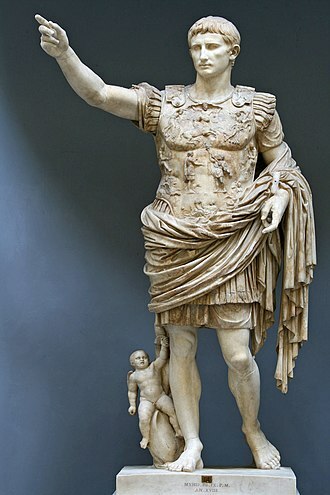 He reports many temples of Greek gods and a statue of Zeus. In the centuries that followed the town of Koroni moved to its current location, in the 6th and 7th centuries AD, the Byzantines built a fortress there. 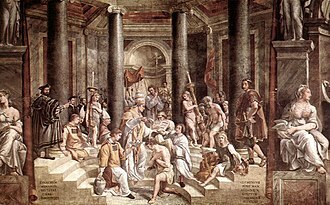 The town appears for the first time as a bishopric in the Notitiae Episcopatuum of the Byzantine Emperor Leo VI the Wise, surviving seals give the names of some of its Greek bishops. The Greek eparchy was suppressed in the 19th century as part of a reorganization after Greece gained its independence. 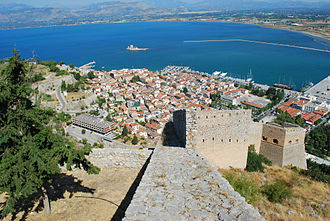 The fortress of Koroni was initially given to Champlittes chief lieutenant and it was not until 1206 or 1207, that a Venetian fleet under Premarini and the son of Doge Enrico Dandolo took the Messenian peninsula and Koroni with its neighbouring Methoni from Champlittes men. Venetian possession of the two fortresses was recognized by Geoffrey of Villehardouin, by now Prince of Achaea, in the Treaty of Sapienza in June 1209, the town flourished as an waystation of merchants and pilgrims to the Holy Land. During this period Koroni became the seat of bishops of the Latin Church, as the Catholics imitated the pre-existing Byzantine ecclesiastical structure, the Latin bishop of Koroni remained a suffragan of the Latin Archbishop of Patras. Founded by the 11th-century general Nikephoros Palaiologos and his son George, the family rose to the highest aristocratic circles through its marriage into the Doukas and Komnenos dynasties. A branch of the Palaiologos became the lords of Montferrat. This inheritance was eventually incorporated by marriage to the Gonzaga family, rulers of the Duchy of Mantua, the origins of the Palaiologoi are unknown. 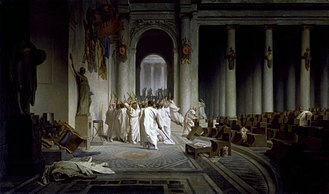 Later traditions sometimes tied them to the Italian city of Viterbo or to the Romans who immigrated east with Constantine the Great during the founding of his new capital, both were probably fabrications created to help legitimize the dynasty. The family are first attested as local lords in Asia Minor, particularly Anatolikon and he supported the revolt of Nikephoros Botaneiates, while his son George married Anna Doukaina and therefore supported his sister-in-laws husband Alexios Komnenos during his rise to power. 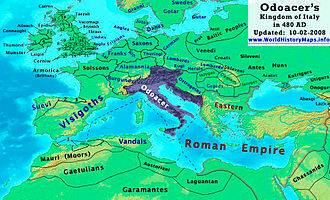 As commander of Dyrrhachium, George faced the Norman Duke Robert Guiscard in battle, the Palaiologoi held military offices and further united their family to the Doukai and Komnenoi during the 12th century. They followed Theodore Laskaris to Nicaea and began to assume high-ranking political offices as well, Alexios Palaiologos, whose wife was a granddaughter of Zoe Doukaina and her husband Adrianos Komnenos. Another Alexios Palaiologos married Irene Angelina, eldest daughter of Alexios III Angelos, the latter couples daughter Theodora Palaiologina married her cousin Andronikos Palaiologos, who was descended from Zoe. The couple were the progenitors of the imperial dynasty and their son was Emperor Michael VIII Palaiologos. Michael VIIIs son Andronikos II Palaiologos married Anne of Hungary and fathered Michael Palaiologos, Michael IX married Rita of Armenia. Their son, the grandson of Andronikos II, was Andronikos III Palaiologos, Andronikos III married Anna of Savoy. Their son was John V Palaiologos, John V married Helena Kantakouzene, a daughter of his co-ruler John VI Kantakuzenos. Their sons included Andronikos IV Palaiologos and Manuel II Palaiologos and they were the parents of John VIII Palaiologos and Constantine XI Palaiologos, the last Byzantine emperor, as well as the despots of Morea Demetrios Palaiologos and Thomas Palaiologos. A golden bull or chrysobull was a decree issued by Byzantine Emperors and by monarchs in Europe during the Middle Ages and Renaissance, most notably by the Holy Roman Emperors. The term was coined for the golden seal, attached to the decree. 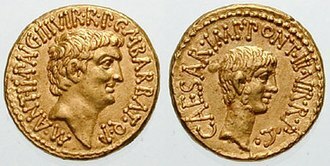 Such decrees were known as golden bulls in western Europe and chrysobullos logos, or chrysobulls, for nearly eight hundred years, they were issued unilaterally, without obligations on the part of the other party or parties. 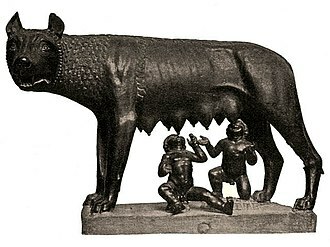 However, this eventually proved disadvantageous as the Byzantines sought to restrain the efforts of foreign powers to undermine the empire, during the 12th century, the Byzantines began to insert into golden bulls sworn statements of the obligations of their negotiating partners. The Golden Bull of 1136, issued by Pope Innocent II, the Golden Bull of Sicily, issued in 1212 by Frederick II, Holy Roman Emperor. The Golden Bull of 1213, issued by Frederick II, Holy Roman Emperor, the Golden Bull of 1213, issued by the papacy to recognize its agreement with John Lackland. The Hexamilion wall is a defensive wall constructed across the Isthmus of Corinth guarding the only land route into the Peloponnese peninsula from mainland Greece. 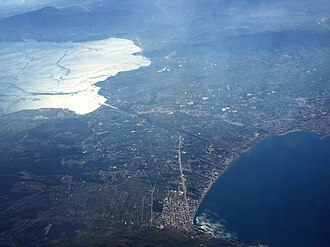 The Hexamilion stands at the end of a series of attempts to fortify the Isthmus stretching back to perhaps the Mycenean period. 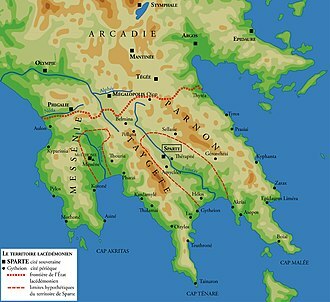 Many of the Peloponnesian cities wanted to back and fortify the Isthmus instead of making a stand at Thermopylae when Xerxes invaded in 480 BC. The issue arose again before the Battle of Salamis, although the concept of a fortress Peloponnese was repeatedly appealing, fortification of the Isthmus was of no utility without control of the ocean, as Herodotos notes. 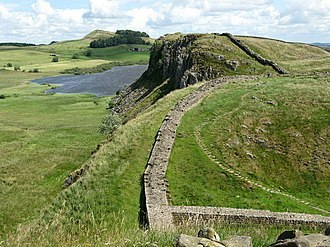 The wall was constructed in the period between 408 AD and 450 AD, in the reign of Theodosius II during the time of the great Barbarian invasions into the Roman Empire. 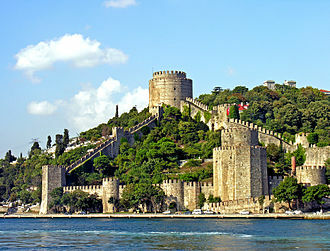 The attack of Alaric on Greece in 396 AD or the sack of Rome in 410 AD by the Visigoths may have motivated the construction, which included towers, sea bastions, and at minimum one fortress. 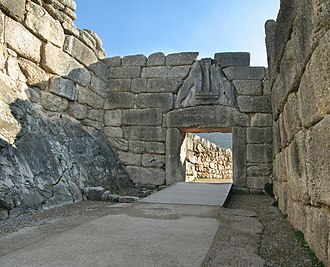 The one known fortress contained two gates, of which the northern gate functioned as the entrance to the Peloponessos. The wall was constructed with a rubble and mortar core faced with squared stones and it is not certain how long it took to complete, but the importance given to the task is apparent from the scale of the construction, the Hexamilion is the largest archaeological structure in Greece. 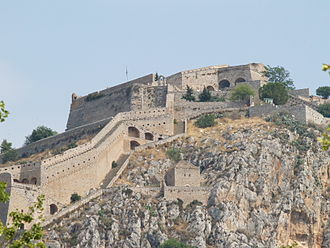 In the reign of Justinian, the wall was fortified with additional towers, military use appears to have fallen off after the 7th century AD, and by the 11th AD domestic structures were being built into the wall. In 1415, the Byzantine emperor Manuel II personally supervised repairs over a period of forty days, the high cost of this effort caused unrest among the local elite. 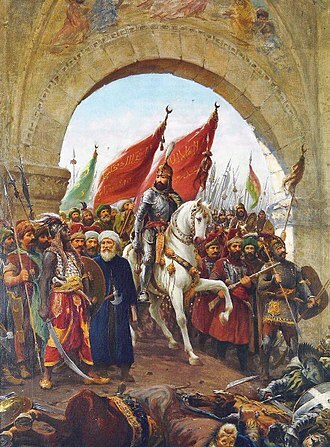 The wall was breached in 1423 and again in 1431 by the Ottomans under the command of Turahan Bey, despot Constantine Palaiologos restored the wall again in 1444, but the Turks breached it again in 1446 and in October 1452. After the Ottoman conquest of the Peloponnese in 1460, the wall was abandoned, during its history, the wall never succeeded in fulfilling the function for which it was constructed, unless it acted as a deterrent. Sebastian I. With his death, the house of Aviz lost the throne of Portugal. Sebastianists hold that he will return to rule Portugal's Fifth Empire.